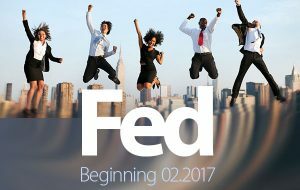 Enrollment is now open for the 2017 Federal Employee Programs at the William W. Winpisinger Education and Technology Center in Hollywood, MD. These programs will be very helpful to stewards, officers and business representatives who serve members in the Federal Sector. The Federal Employees Basic Program will be held February 5-10, 2017 and involves training in areas specific to the Federal Sector. Among the topics are collective bargaining, the Hatch Act, legislative action, prohibited personnel practices, unfair labor practices, grievance handling, arbitration and an overview of the Federal Labor Relations Authority (FLRA). The registration deadline is December 5, 2016. Click here for the Basic Program call letter and registration forms. The Federal Employee Advanced Program will be held February 19-24, 2017 and involves training in areas specific to the federal sector such as Unfair Labor Practices (ULP) and grievance handling, preparations for arbitration and the Merit Systems Protection Board (MSPB), collective bargaining including negotiability appeals, mediation and impasse procedures and a more in-depth look at the Federal Labor Relations Authority (FLRA). The registration deadline is December 12, 2017. Click here for the Advanced Program call letter and registration forms. Because space is limited to 30 participants per class, only those who have not previously attended each individual program will be enrolled. Participants are chosen on a first come basis, therefore it is extremely important that the enrollment forms for each authorized lodge participant be completed and returned as soon as possible. If you have questions, please contact the Government Employees Department at 301-967-4753.